Acupuncture and Traditional Chinese Medicine correct imbalances in the body and reset the body to bring it back to health. I like to think of this as hitting the reset button. For the treatment of Interstitial Cystitis, acupuncture can reduce the pain, frequency and discomfort of urination, along with the stress that can come with it. According to Chinese medicine, not all people who develop IC get the condition from the same root causes. Symptoms from IC can be overwhelming, affecting work, school, and relationships. Sometimes, IC can be accompanied by additional symptoms including generalized pain and fatigue, digestive issues, and depression. It is important during the initial visit, to take an in-depth history of your symptoms to get a clearer picture. According to acupuncture, the body is connected by channels (also called meridians) and the body’s energy, called qi (pronounced chee), which flows through these meridians to keep us healthy. When there are imbalances in the qi, illness occurs. Common imbalances for Interstitial Cystitis include qi weakness, qi stagnation (lack of circulation of qi), and heat. It is not uncommon for people to suffer from more than one of these imbalances and it is important to locate which imbalance is particular to your situation so as to better guide the course of treatment. Imbalances will correlate with specific symptoms. For example, people with qi weakness, or lack of energy, are often tired and have digestive problems. Those with qi weakness may experience frequent urination, urination at night, and a feeling of fullness in the abdomen. Qi stagnation is a lack of circulation of the energy and can cause pain, bloating, and muscle spasms. Heat in the body can cause dryness, burning urination, abnormal sweating, stiff joints, and headaches. Other relevant symptoms when designing a specific and effective course of treatment for IC are muscle tightness in the pelvis, back, abdomen, and legs. Trigger points in the gluteus maximus and medius, adductor magnus, and illopsoas, are taken into account because they can produce pain in the pelvic floor. Another common symptom is sacro-iliac joint dysfunction, which can also be an important factor in treatment. Once the proper imbalance is identified, the acupuncture point prescription is tailored specifically to correct that imbalance. Acupuncture points are then placed along the channels in order to regulate the flow of energy. Channels are located on the surface of the body but also internally. This is why thin Acupuncture needles, which lightly penetrate the skin, can work to treat pain and illness of the bladder associated with Interstitial Cystitis. The acupuncture treatment is about twenty to thirty minutes long. Usually, people feel very relaxed during the acupuncture treatment. This is probably from the release of pain relieving chemicals in the brain. Acupressure massage helps to support the acupuncture in relaxing the muscles as well as to relieve stress. Often electro-acupuncture can also be implemented to relieve the constant feeling of fullness and urgency in the bladder which can accompany IC. Chinese herbal formulas are also very helpful. 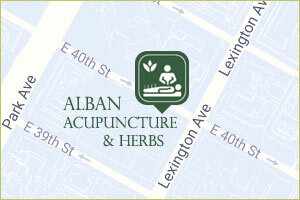 The herbal formula, like acupuncture, is specifically tailored to treat the imbalance causing the symptoms. The results of acupuncture are cumulative over a series of treatments. Once the imbalance is corrected, the body can work to heal itself and this can bring about long lasting benefits. Incorporating relaxation techniques such as breathing exercises and meditation can also be a vital support in conjunction with acupuncture for relieving stress and preventing the return of tension. What acupuncture points are used in the treatment of Interstitial Cystitis? If qi deficiency is the main issue, then acupuncture points such as Spleen 9, Kidney 7, on the legs, Ren 3, 4, and Kidney 12 on the abdomen, and Lung 9 on the arms can be used. If there is qi stagnation, acupuncture points such as Liver 3, Liver 5, Liver 8, UB 23, GB 30, and Large intestine 4 can be used. Generally, the acupuncture points for interstitial cystitis are located on the arms and legs, as well as the lower abdomen and lower back. Auricular, or ear acupuncture, can also be very helpful for pain and spasm of the bladder.